REBT practitioners update your practice for greater effectiveness & efficiency with Not. Ego will help you to live sane in an insane world of competing ego-stories. This content list also serves as both an index and an outline for the book. Seeing the actual content list, you will recognize the amount of information and the detail provided that will enable you to not only understand garbage thinking–but also to apply that knowledge to your coping, life, relationships, and responses. 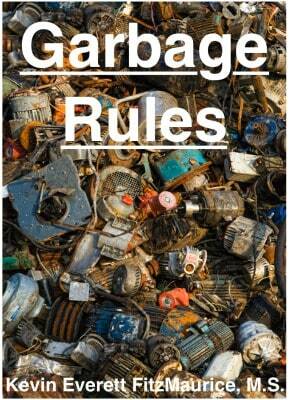 Use this page for information, reference, and search functions for the book Garbage Rules. Do I Have Garbage Thinking? Do I Have Garbage Feelings? Do I Act Like Garbage Sometimes? How Do I Try to Control My or Others’ Garbage? Does My Garbage Generate Garbage? Is There No Excuse for My Garbage? How Can I Avoid Garbage Personalities? How Can I Get Over Garbage? How Can I End My Garbage? How Can I Learn to See Pride as Garbage?